I was 8 years old when this film hit theaters in the summer of 1984. I didn't get to see it in theaters unfortunately, but I sure remember watching it an innumerable amount of times throughout my young life in the 80's. Yet as an adult in my 40's now, I haven't seen it in well over 20 years at least. I'm not really sure why exactly either. Life just happens and I tend to forget about certain movies. But here we are, 33 years after it's initial release, and the universe was begging me to revisit this one at just the right time. On a lazy Sunday afternoon, I popped in the 2009 25th Anniversary Blu Ray (Blu Ray review coming soon) for some nostalgic viewing. So let's dig in. Though 3 decades have gone by, The Last Starfighter has not lost a single bit of it's charm. To say I loved this would be an understatement. I adored it. I was beaming a smile from ear to ear like a little kid the entire time. Every single frame was damn near a perfect example of retro 80's nostalgia by way of Spielberg, mixed with Joe Dante and the very special magic touch that Nick Castle brings to the table. It's wholesome, charming fun to the highest degree, never missing a beat and giving you exactly what you want in a family-friendly sci-fi adventure film. And that's the thing that really surprised me the most. It is PG, and there's no blood, no cursing, no real violence, yet it succeeds on every level despite of that. It's one of the best examples of a film being so damn good and near perfect, with all the right elements coming together at just the right time that literally anyone, from any walk of life, can sit through this and have a blast doing so because it's just that good. 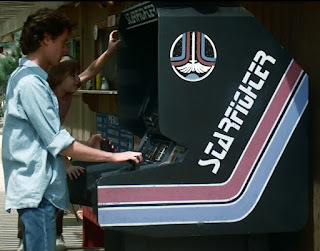 From it's very first frame, The Last Starfighter reminds you just how great and simple films used to be with a strong story and expert filmmaking. Nick Castle, who had previously played The Shape/Michael Myers in the original Halloween and co-wrote Escape From New York, seems like the most unlikely of candidates for this type of material, yet what he did was give us one of the best films in this genre in any decade. One thing you'll notice is that it looks and feels very much like an early Spielberg film, similar to his work in E.T.. Whether that was intentional or not, Castle delivers the goods full-throttle and the results speak for themselves. What is it about this film that makes it so.....magical? I couldn't tell you. I've thought about it for endless hours and I just can't figure it out. It's just one of those rare examples of all the right talent and all the right elements coming together perfectly. Everything just flows together so effortlessly; the set design, the direction, the score by Craig Safan, the whimsical script, the makeup effects and the strong cast. And let me talk a bit about the cast. Lance Guest, who had previously appeared in Halloween II as Jimmy the medic, knocks it out of the park here as Alex. He exudes a Jimmy Stewart-style charm that is really hard to beat. The casting of the lead easily could have turned the film into something else, but Guest confidently carries the film squarely on his idealistic shoulders. He might not have gone onto bigger and better things (does Jaws: The Revenge count? 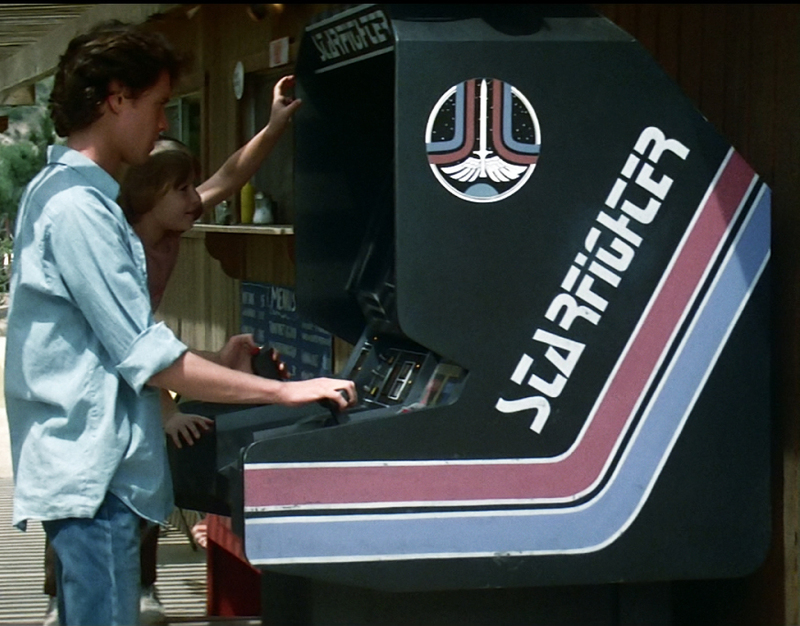 ), but he certainly helped make The Last Starfighter as great as it was. Though the film had so many outstanding qualities all around, his performance as Alex, the day-dreaming gamer who longs to leave his small rural RV Park community to explore the world, seals the deal. He's the wholesome "everyman". Nothing in particular makes him stand out, yet he exudes such a raw tenderness that makes it just the right bit of spot-on casting that makes this film far better than it needed to be. Try imagining someone else, like Eric Stoltz for example. It just wouldn't have worked. And then there's the legendary Dan O'Herlihy (Halloween III, Robocop) as Grig, Alex's starship co-pilot. Man, just what an amazing talent O'Herlihy was. Even under a pile of latex and makeup, his voice, laugh and mannerisms really brought so much to the character of Grig that could easily have been forgettable. And that voice. You instantly recognize it as The Old Man from Robocop, which makes it odd in this scenario because he's a good guy here, something I'm just not used to seeing him be. He's just fantastic and easily one of the many highlights in this exceptional cast. I think one of it's most charming elements is it's heavy use of CGI, which was in it's infancy here. In fact, this is the first film to utilize complete CGI sequences, sometimes integrated into live action shots. 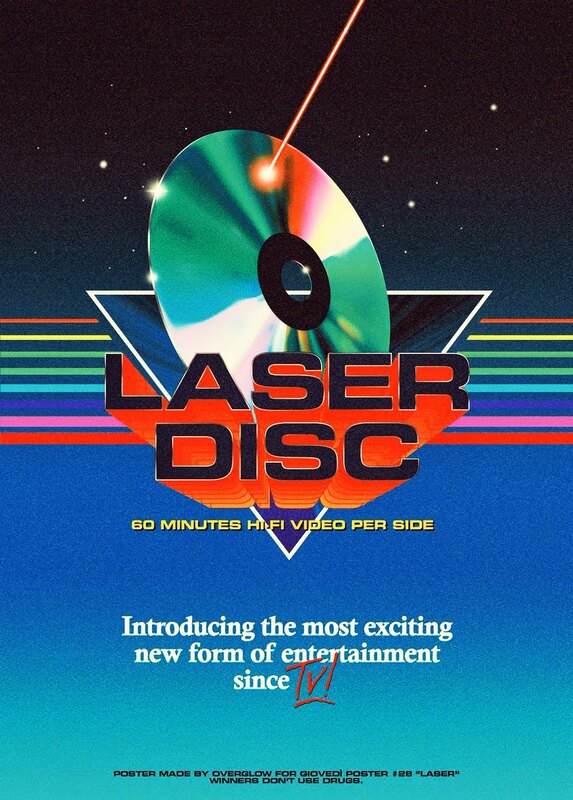 Though Tron did it a few years earlier, this was the first time done in such a specific way. 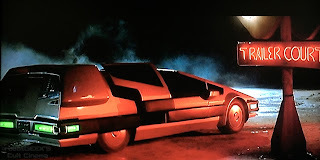 Created by the CRAY X-MP supercomputer, while groundbreaking at the time, the CGI effects are severely dated today, but that's also part of it's charm. I love that they look like they could have been made on a home computer today. And I have to give them credit, because even by today's standards, a lot of it really works and looks great. But just being designed and executed back in '83/'84 automatically gives them a retro look. Aesthetically, they're some of the best designed ships, stations and battles ever produced, even if they were still years away from being perfectly rendered. Hell, even Centauri's car was epic. I loved that car! I wanted that car. Watching it again recently only made that desire more real. That car is legitimately one of the best science fiction vehicles ever designed for a film, from the inside out. And it flies too! I'm shocked it doesn't get more love than Doc's DeLorean from Back to the Future. It might not travel through time, but it can fly and is a helluva slicker looking machine. But that's just me. One thing that isn't discussed nearly as often as it should is how visual this film is. Nick Castle had only directed one film before this, yet does a phenomenal job with the imagery. Each shot is so impressive and stimulating on an aesthetic level in it's framing and structure. Of most of the things that surprised me in this, that's the area that floored me. A lot of the look to this film also goes to production designer Ron Cobb, who has worked in various capacities as a Concept Artist and Designer on classics like the first Star Wars, Alien, The Abyss and Total Recall. His designs of all the space-age elements in the film, from Centauri's car to the space station, all lend the film a gorgeously retro futuristic environment that plays a pivotal role in it's ultimate long-lasting cult status. 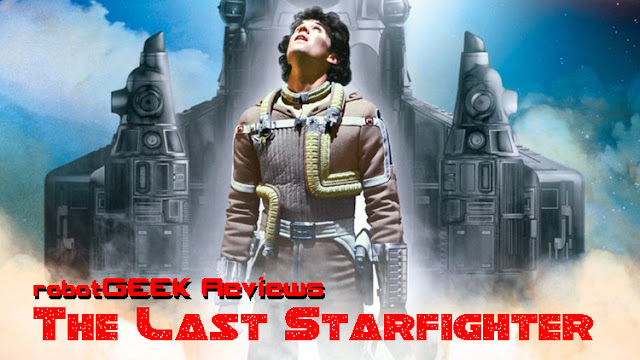 It's a shame the "look" of The Last Starfighter is never brought up. I feel it plays just as important a role in it's success as other areas. It sounds corny saying it out loud, but there's really no other way to describe the experience of either watching this for the very first time or revisiting it after so many years other than it's just a magical good time. Few films hit the mark the way this one does and few films can carry on an enduring legacy with one single film. I'm so glad they never decided to remake this. It's perfect just the way it is, with it's outdated CGI effects and all. I wouldn't change a thing about this and I hope nobody ever tries.